3.5 Step Five: Free SWAG! 4.1 Kim Kardashian Gets Morning Sickness, you guys! People are more likely to place their trust in a digital influencer who is promoting a product from a place of genuine adoration. This is what Influencer Marketing is all about. It’s much more authentic and believable than, say, a company telling you their product is great. Of course they’re going to say it’s great – they want you to buy it. A digital influencer, on the other hand, has nothing to gain financially from recommending products they love (well, not really but more on that soon). According to a study by Burst Media, businesses find the greatest success with Influencer Marketing campaigns in the following industries, Consumer Packaged Goods, fashion retailers, with travel taking third place. Is it a coincidence that these are also the best performing markets worldwide? Likely not. Think about what it is you’re really selling. Influencer Marketing is not the perfect fit for every business, so it’s important to make sure it’s worth the investment. Often this means considering your product, service and audience first. Take for example professional services, you can try to get a digital influencer known for her fashion sense to take a sweet Instagram video talking about how important tax season is, but we doubt it will fly. If you do have a product or service that is complemented by Influencer Marketing, the next step is to look at the influencers and find the right fit. The trend of “digital influencers” has been on fire lately, resulting in thousands of influencers to choose from. They have blogs, Instagram accounts, Snapchat – you name it. You need to find the perfect match that will ensure your investment gets your message in front of an audience that aligns to your goals. Not just theirs. 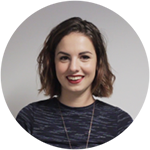 If you happen to sell an age-defying skin cream but you’re working with an influencer who is largely followed by women in their teens – it might not be the right place. Wading through the options of bloggers and influencers is quite the task, and there are now marketing agencies completely dedicated to matching brands with the right Influencers. It’s not a bad route to go. So you want to get started but you’re not sure exactly how to go about it. We’ve jotted down an easy to follow step by step guide so you know what to expect. Yeah, this is a given. The success of your Influencer Marketing campaign relies heavily on developing a strategy first. These types of campaigns are an investment – whether you’re paying an influencer for some precious name dropping or you’re holding an event and hoping the influencers will like it enough to snap a pic and link to one of your accounts. With a strategy, you’ll have a clear direction and have a better understanding of how to make the biggest splash through Influencer Marketing. You need a vision, mission, and a clear key message that is backed by strategy to get the best results. Browse social media, take to Google, and get hunting for the right individual who is going to resonate with your target audience. And don’t be fooled, it’s not necessarily about the size of their following. What is most important is they are appropriate for your brand and your product – some fun examples to follow. Anyone else would be a waste of marketing dollars. Make sure you qualify the influencers you’re most interested in, so ask yourself what your qualifying criteria really is. Find their contact details, and next step is reaching out. Reach out to your prospective Influencer and talk business. Digital influencers have made a business of their opinions, so expect them to be swift and suave. You need to make sure your pitch highlights how your campaign will be beneficial to their personal brand, not just yours. Ask for a media kit or rate card. Be smart, be honest, and be personal. That’s what influencers like. 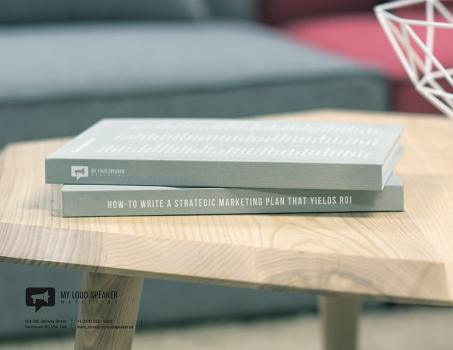 Unlike other marketing deliverables, an influencer is not just a well designed brochure. They are very much a living, breathing, human being. So show interest in them, because they’ll be the experts on their audience and how best to make an impact with them. Communicate your end goal and see what their solution would be to get there. Be open to collaboration and their ideas, because they’ve got the know-how. Ahh, SWAG! Stuff – We – All – Get. That’s what influencers are really about. They get so much free stuff, it’s borderline absurd. So you need to give them stuff. Your products, a branded gift basket, a pair of embroidered slippers. Whatever it is that you want included in their content – send it off and let them do the work. They’ll appreciate it, and it could earn you some extra content on their platforms just for being cool. Now the fun part, seeing how influential your Influencer Marketing campaign was. During the campaign, you should keep an eye on how your content is doing and flag anything that could be better if you notice something. When all is wrapped up, the digital influencer can offer a report and insights from their end on what worked and what didn’t. Numbers, y’all! Here are just a couple Influencer Marketing flubs and why they missed the mark. Kim Kardashian Gets Morning Sickness, you guys! Okay, so how could Kim Kardashian – a walking, talking marketing machine – ever make the flop list? This just goes to prove that even brands who can afford goliath influencers can make crucial mistakes. 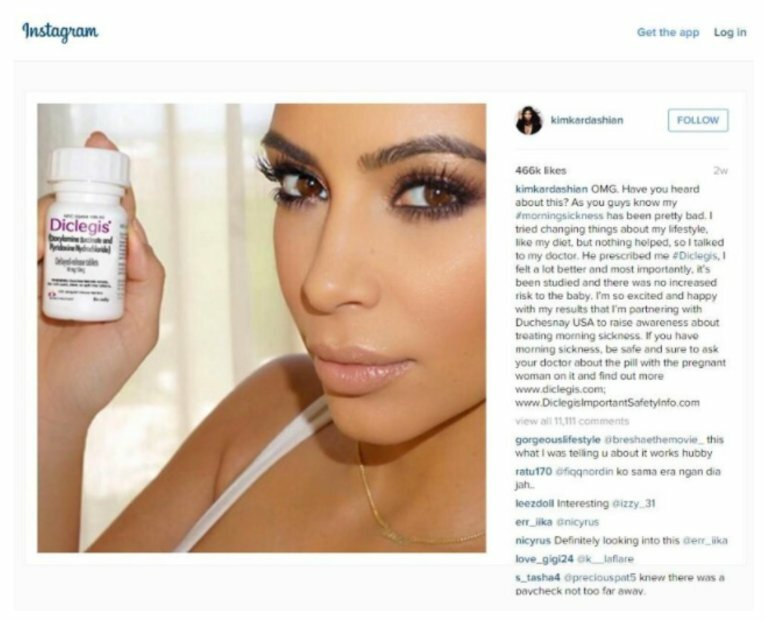 Kim K West took to her Instagram account to share her love of Diclegis, a pill for fighting the pesky nausea that comes along with the joy of bearing children. With both her pregnancies hugely publicized, sure! She seemed like a great fit to sexily hold her bottle of Diclegis. So where was the fail? Marketing, even the influencer variety, has legislation around it. Especially when it comes to pharmaceutical drugs. These laws were not adhered to in the post, and the FDA had Kim remove her post. She could repost, but it meant having to list all the side effects. And something about “flipper babies” just doesn’t have that instagrammable quality. And influencers have a responsibility to be transparent about sponsored content, which Kim K failed to do here. If you haven’t read Chriselle Lim’s blog, we recommend it. This beauty blogger creates stunning content that is just a visual feast for the eyes. If you want great advice on skincare and beauty, look no further than her glowing perfect complexion. Honestly, can’t say enough nice things about her blog. 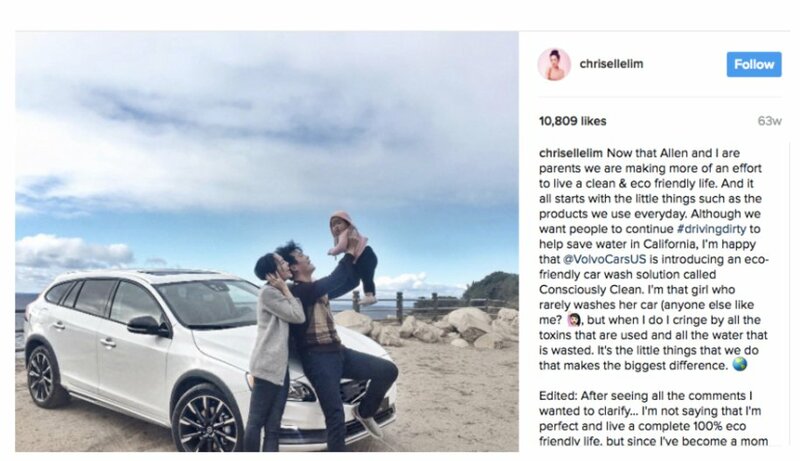 However, Chriselle missed the mark when she posted a photo promoting Volvo. Her audience is loyal, and they sensed the huge disconnect between her personal brand and the blatant advertisement. Her following was quick to comment and complain because it was not authentic. You don’t want to alienate your following, as an influencer, and you don’t want to alienate their audience as a brand. The content has to fit. However, if you want some amazing recommendations on moisturizer, say no more fam. Get to her blog – stat. Of course, we’re no strangers to Strategic Influencer Marketing ourselves. We’ve helped brands to get their wings and boost their followings by getting behind the digital influencer trend. Here are a couple examples of how we’ve used Influencer Marketing to gain big time results. A brand new instant organic coffee, Nexxcup, was set to introduce their product to market. With a launch the horizon, we sat down with the founders of Nexxcup to develop a strategy in order to get them started with a caffeine-buzz and a splash. After developing their key message, zoning in on their bullseye target, and creating a vision – we had all the key elements in place to develop an impactful launch party geared to influencers. 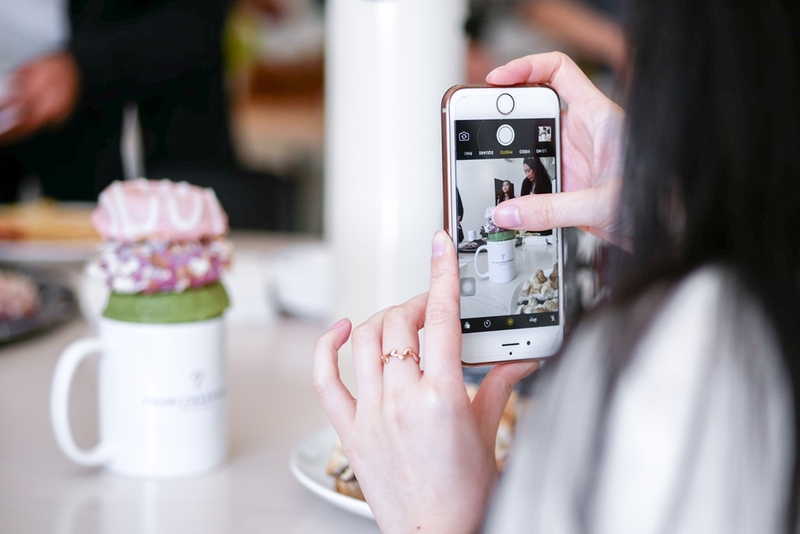 We teamed up with local instagram influencers @TeamChomp to plan and execute an influencer event, inviting Vancouver’s notable foodstagrammers to come and smell the coffee. With flat lay stations, custom mugs, SWAG, and delicious treats just begging for an instagram photo, we we were able to get the Nexxcup hashtag launched and making rounds. We had 15 influencers in attendance, and with the help of @TeamChomp, the party resulted in over 200,000 impressions, 6,900 social engagements, and plenty of coffee was consumed by all. You can read more about it in our Case Study. Robson Street is another great example. 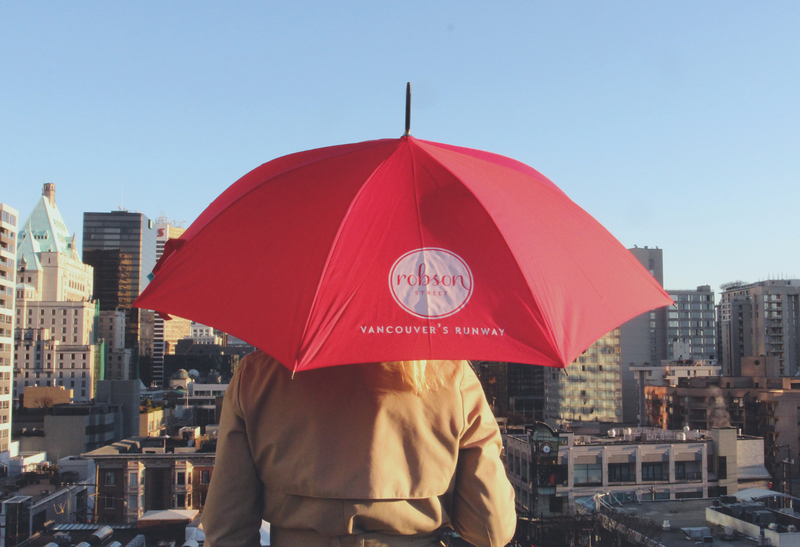 We started with a comprehensive strategic marketing plan that would help get their brand back on the map as they were slowly losing their relevance in Vancouver’s fashion scene. It started with a clear message, “Where people come to indulge in style.” With that in place, we knew there was a clear direction that would be perfectly complemented by digital influencers. We enlisted the help of some of Vancouver’s brightest style stars, like @AliciaFashionista, @IsntItDarling and @JessicaLuxe to bring their stylish brands to Robson’s blog and social media platforms. By showcasing diverse trendsetters and allowing them space to share their own personal stories about Robson Street, we were able to create genuine content that elevated their brand, and has long since been a part of Robson’s content creation plan. 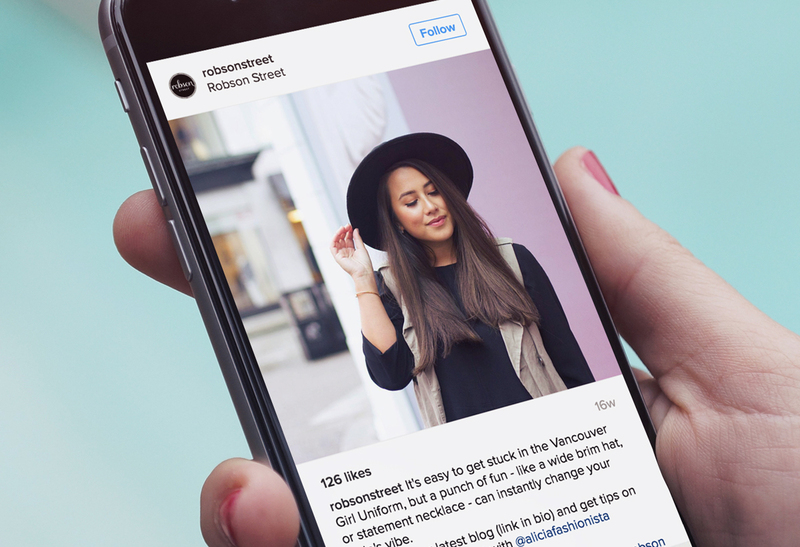 When talking about a perfect fit for Influencer Marketing, Robson is definitely a brand that fits the bill. You can read more about our work with Robson in our Case Study. Do you think your business would be a perfect fit for Influencer Marketing? 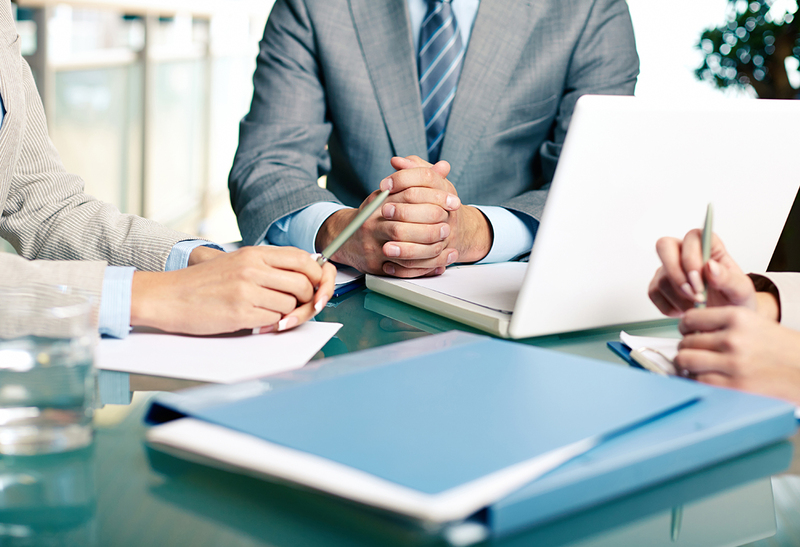 The most important thing you’ll need before you get started is a strong strategy. No matter what type of marketing you’re looking into, from business cards to websites to digital influencers, strategy will be the cornerstone behind your success. However, if you feel like a good fit for Strategic Influencer Marketing and need help getting started, why don’t you give us a call. We’re pretty awesome, if we do say so ourselves. We’re sure you’ll think so too.